A host of catastrophes, natural and otherwise, as well as some pleasant surprises--like the sudden end of the cold war without a shot being fired--have caught governments and societies unprepared many times in recent decades. September 11 is only the most obvious recent example among many unforeseen events that have changed, even redefined our lives. We have every reason to expect more such events in future. Several kinds of unanticipated scenarios--particularly those of low probability and high impact--have the potential to escalate into systemic crises. Even positive surprises can be major policy challenges. Anticipating and managing low-probability events is a critically important challenge to contemporary policymakers, who increasingly recognize that they lack the analytical tools to do so. Developing such tools is the focus of this insightful and perceptive volume, edited by renowned author Francis Fukuyama and sponsored by The American Interest magazine. Bl indside is organized into four main sections. "Thinking about Strategic Surprise" addresses the psychological and institutional obstacles that prevent leaders from planning for low-probability tragedies and allocating the necessary resources to deal with them. The following two sections pinpoint the failures--institutional as well as personal--that allowed key historical events to take leaders by surprise, and examine the philosophies and methodologies of forecasting. In "Pollyana vs. Cassandra," for example, James Kurth and Gregg Easterbrook debate the future state of the world going forward. Mitchell Waldrop explores why technology forecasting is so poor and why that is likely to remain the case. In the book's final section, "What Could Be," internationally renowned authorities discuss low probability, high-impact contingencies in their area of expertise. For example, Scott Barrett looks at emerging infectious diseases, while Gal Luft and Anne Korin discuss energy security. 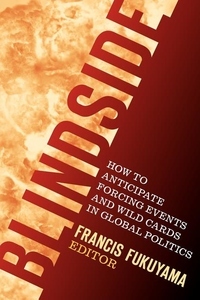 How can we avoid being blindsided by unforeseen events? There is no easy or obvious answer. But it is essential that we understand the obstacles that prevent us first from seeing the future clearly and then from acting appropriately on our insights. This readable and fascinating book is an important step in that direction.